"I'm Billy Murphy, I'm Billy Murphy, no, I'm Billy Murphy." And with that moment of madness, surreal humour and heart, Season 1 of The Young Offenders came to an end and since it left, we've been itching for more. 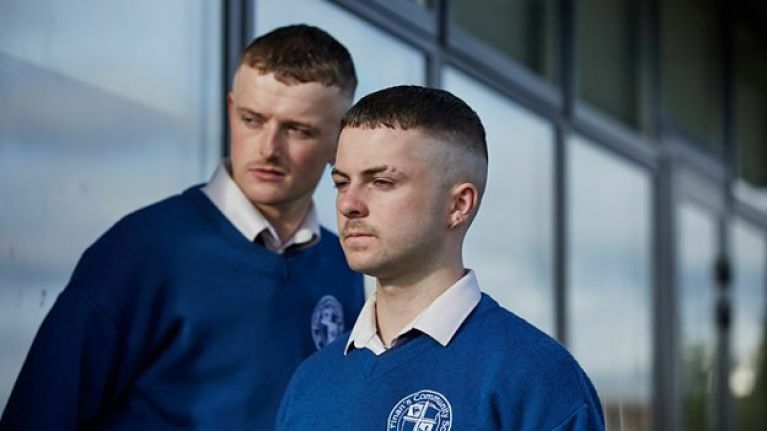 Since being introduced to Cork's biggest blaggards Conor and Jock in the film, the boys have become two of the most identifiable and loved characters in recent Irish history. When news that the show was being made broke, plenty of people wondered if Peter Foott's creation would be able to replicate that magic on the small screen and within about five minutes, all those questions were answered. Funny, filthy and incredibly heartwarming, The Young Offenders TV show became an instant hit - both commercially and critically. FYI, the show had an average (consolidated) audience of 401,000 since its debut in February. Just like the film, The Young Offenders TV show is an international hit because it was nominated for a prestigious Rose d'Or award. To put this achievement into context, nearly 500 programmes from around the world are submitted for nomination. From this list, The Young Offenders was selected to compete in the best sitcom category. Aside from this, we've seen the show inspiring singalongs at Electric Picnic, rumours of Cillian Murphy making a cameo, and Jennifer Barry (Siobhan) hinting that romance could be in the air during Season 2. If you fancy starring in the show, we've some good news for you because they're currently looking for extras but by the look of things, you better hurry up because they've already started filming Season 2. Cheers to Seán Marum for sending this our way. Got a story for JOE? Fill out our online form here.